Description Thank you for visiting another one of Jim Hudson Lexus Augusta's online listings! Please continue for more information on this 1 Owner, L/Certified 2016 Lexus RX 350 F Sport in Nebula Gray Pearl w/Rioja Red leather interior. This exceptional 2016 RX 350 F Sport has passed the Lexus stringent standards and has been hand-selected to become a Certified Pre-Owned vehicle. The quality of this vehicle will undoubtedly ensure a worry-free buying experience. This Lexus RX 350 F Sport has a tough exterior complemented by a well-designed interior that offers all the comforts you crave. Opulent refinements married with exceptional engineering make this the kind of car you'll want to own for a lifetime. All-wheel drive means peace of mind all the time. This Nebula Gray Pearl AWD Lexus enjoys a host offeatures, including exceptional acceleration and superior stability so you can drive with confidence. Where do you need to go today? Just punch it into the Lexus RX 350 on-board navigation system and hit the road. Rest assured, this vehicle was well care for. In fact, previous service records are included. If not for a few miles on the odometer you would be hard-pressed to know this 2016 Lexus RX 350 is a pre-owned vehicle. When this vehicle was shipped from the factory, Lexus decided that no option should be left off of this magnificent automobile. 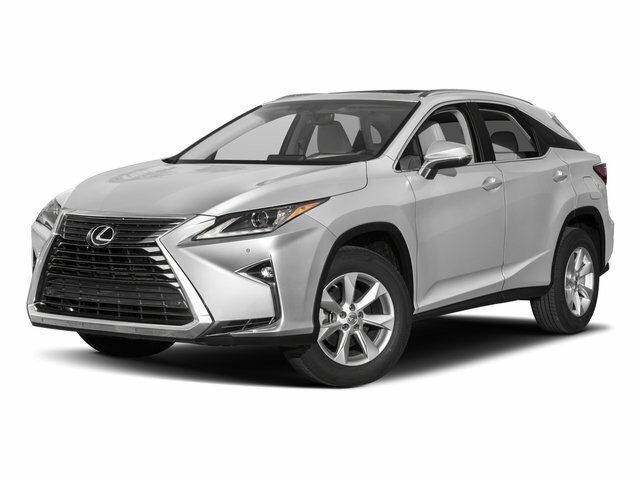 So, if you're in the market for a Lexus RX 350 F Sport that is equipped with copious amounts of options, then we may just have the perfect vehicle to suit your needs.